I just wanted to point out to excellent blog posts on racism in Christianity, and in particular, both posts were calling out Doug Wilson for his racist beliefs. It’s funny, that just because early Tom Petty and Lynyrd Skynyrd concerts featured the Confederate flag does not make something right. On the contrary, it proves critical race theorists point that we still in a thoroughly racist society, and so symbols of white supremacy remain acceptable. My question is just how far will Christians go to defend their “odd ball uncles” for the sake of preserving peace among the powermongers and Celebrities in our religion? Maybe it’s high time we stop seeing these figures as “crazy uncles” and start confronting them for what they are: the norm. This entry was posted in Political Jesus and tagged blogging, Confederacy, liberation, progressive evangelicals, quip of the day, social justice, white supremacy on March 5, 2014 by Rod T.
Recently I read a, well, interesting post on the questionable practice of pastors doing altar calls at the end of church services. As long as I can remember, as a Baptist, that almost every single church service has ended in an altar call or an invitation to respond to the Good News. Even when I identified as a 4 point Calvinist, this practice I never really questioned this ritual. One of the “dangers” critics say that Altar Calls can cause an “easy beliefism,” that a person believes in Jesus after the invite, but then goes on with their life living unsaved. And the other scarecrow I often read or hear about is the manipulation of human emotions. I am very well aware of the latter. Once at a Christian rock concert, I saw people’s feelings being misused as this huge guilt moment without any talk of hope, sanctification or resurrection. I was a little distraught and let my friends know how I felt. However, myself being familiar with conservative Reformed concern-trolling about human emotion, there is another way of looking at emotions and manipulation. What about people who argue from the standpoint of fear about people’s emotions getting out of control? From Jonathan Edwards to Reformed cessationists like John MacArthur, the cases against revival-oriented/ Charismatic Christian traditions depend on this very fear of human emotion, something that is natural, something that is neutral in Scripture. David is praised for his passionate worship. Anger is only condemned if persons let it control them. God Himself cries with Mary and Martha. This denial of human subjectivity by feigning “objectivity,” “freedom from bias” is just another way of policing people’s various expressions of worship. The term “biblical”when it used, as I have argued before really just means that a teaching or practice aligns with that person’s and her community’s INTERPRETATION of Scripture. As for myself, I could easily argue that my own affinity for the Nicene and Chalcedon Creeds are not strictly “biblical” just as any other tradition. With a tradition that regularly dismisses the implications of Jesus’ teaching ministry, his calls for repentance [inviitations], for example, it’s no wonder that members of the conservative Reformed tradition find the notion of an altar call disagreeable. This entry was posted in Political Jesus and tagged baptist life, black religion, Calvinism, Christianity, continuationism, evangelism, quip of the day, Reformed Theology on February 11, 2014 by Rod T.
So I am pretty much over blogging and writing about celebrities. You thought this post was going to be about Mark Driscoll and Shia LaBeouf, didn’t you? Whoops, well, it’s not. Sorry to disappoint. Today, I want to talk about a disease that is devastating our country right now. 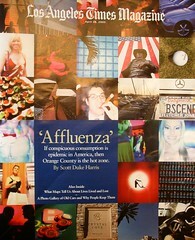 Worse than the chicken pox and the measles, our society is suffering from what is now being diagnosed as The Affluenza. Last week, in my beloved state of Texas, a judge mercifully sentenced teenager Ethan Crouch (mercifully) to a few years at a six-figure rehabilitation center for driving drunk and murdering four people. Poor Ethan, his parents were so wealthy that they never bothered to set boundaries. No research has ever been done on Affluenza, but let me tell you that it is real. In fact, I know a quite a large population here in the United States that is sick from its own Affluenza: its Church. Absolute power in the United States is venerated as untouchable, and what I have learned recently is that sometimes money and power DON’T go together. And I may have to write about how that works some other time, but for now, I want to discuss how power consolidates itself. Okay, so you’re an uber-popular profit of the Lord, and a publishing company makes a money from your “work,” then that publishing company is going to STAN for you. The most recent and just shameful example right now is Tyndale House, publisher of Joel Watts’ beloved NEW LIVING TRANSLATION bible. Joel, to his credit has been quite prophetic and critical towards a book corporation that has given Joel a lot of gifts. In fact, as Joel has pointed out, Tyndale House is covering up Mark Driscoll and his lying and his stealing WITH EVEN MORE LYING. They are telling half-truths like Janet Mefferd apologizing????? Ummmmm no! First of all she was sorry she didn’t go to Tyndale first, but then again, given Tyndale’s disastrous response to this disaster, I think maybe she did the right thing in the first place! Tyndale is just one company, but they are a big example of what Christianity looks like today: the Church is dying from Affluenza. Joel is wrong. This whole Driscoll/plagiarism thing is NOT ABOUT ACADEMIC INTEGRITY. There is no need to contact Amazon. Christianity is a religion where the TEN Commandments are pretty important, haven’t you ever read, “Thou Shalt Not Steal”? I mean Conservatives use this verse all the time right to talk about taxes, but now they are STANNING for Driscoll who is stealing authors’ private property. Commitment to power and money is what causes people to act hypocritically a lot of the time. The Affluenza of Christian Celebrity culture has got to stop. But where can we find healing from this disease? I would suggest, given this Advent season, and this first post for Tyler Tully’s and my synchroblog, #fleshYGod, that the answer lies in the dirty, straw-filled manger. In the Gospels we have a story about an infant who’s parents were too poor to buy animals to sacrifice, so they had to purchase doves instead. How embarassing that our Savior’s family was not even privileged enough to do something as normal as that. It’s sort of like families who aren’t able to afford a yearly vacation out of the country, EXCEPT IT’S not. My point is, is like liberation theologian Joerg Reiger said years ago, that we should watch the money, watch where it flows, who has it, and how it is used. We should also be watching WHO LOSES the money, who doesn’t have the power, and confront those institutions and practices that do enable monetary predators and power-mongers. The thing is, Shia LaBeouf doesn’t have to claim he stole “for the Glory of God;” Hollywood might be white supremacist and suffer from just as much Affluenza as the church, but at least these artists follow through on their own ethical code. Meanwhile, Christians? We have the Decalogue. Let’s, ummmm look to it, maybe? This entry was posted in Political Jesus and tagged Affluenza, blogging, Calvinism, classism, continuationism, Mark Driscoll, Michael Bay, quip of the day, Shia LaBeouf, Stuff Christian Culture Likes, Transformers, writing on December 18, 2013 by Rod T.